Toulies en Fleur is a wedding planning, interior and floral design company that operated under the direction of the owner, Jill Medawar. This professional guides her team to be accommodating so you can have the wedding of your dreams. When you hire these experts to design the decor of the occasion using fresh flowers, you will be amazed by their creativity and talent. According to reviews, having custom flowers surround you on your big day makes the atmosphere of the occasion even more special. Creative Floral Designs is a company that offers everything from affordable flower delivery in Washington DC to completely customized arrangements for special occasions and events. You can choose to have every aspect of your decor catered to by this expert team. From coming up with designs that fit perfectly with your theme to using the freshest selection of flowers, you will always get the best results. 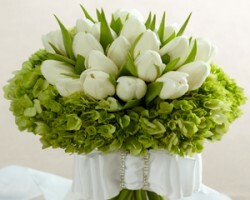 This company will even work within the budget that you have set for the flowers without compromising the quality of their work. Helping you create personalized wedding flowers that reflect your individuality and style is the aim of the experts at Allan Woods. 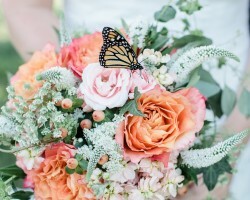 This company has been collaborating with brides in Washington DC for many years. In this time, the team has been able to accommodate for rustic and romantic events as well as formal and elegant weddings too. The results of working with this team are always flawless as they really listen to how you envision your wedding and do everything possible to help make that dream come true. You could choose one of the normal flower shops or florists in Washington DC to take care of your wedding flowers or you could work with the experts at Growing Wild Floral Company that specialize in wedding decoration and arrangements. Having services that are completely focused on weddings means that you will be working with a team that knows how to come up with unique and creative designs and keep the flowers fresh for the big day. With over 1600 weddings decorated since the company was established, you are guaranteed great results. 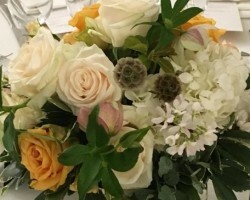 Vintage Floral Design is a local Washington DC florist that goes above and beyond to make sure the weddings of their clients are each memorable and magical. 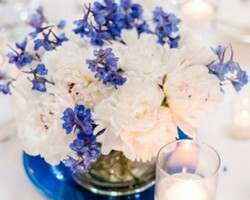 They do this by creating beautiful custom pieces for every aspect of the ceremony and the reception. Being able to accommodate for each couple specifically is the exact reason this company does not have packages but rather options for each arrangement instead. 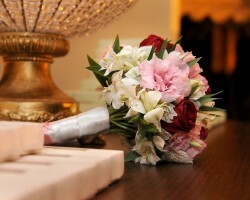 You can hire this team to make only your bridal bouquet special or to decorate for the entire occasion.